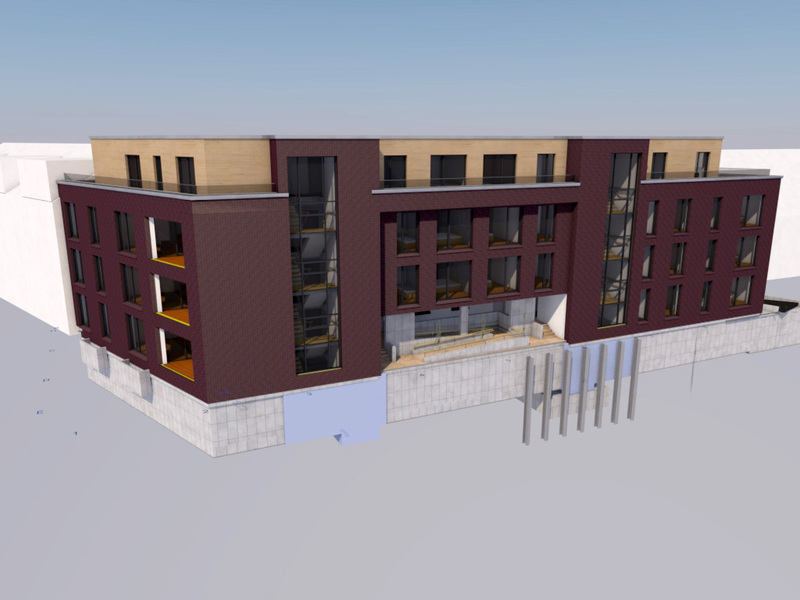 The Broicher Karree is a new residential building with 25 apartments and underground parking. The ‘Baues + Wicht beratende Ingenieure’ engineering office found this five-floor project quite challenging, primarily due to the inner-city location with little construction space and a high ground water level in combination with the designed underground parking. In the early planning phase, a cost certainty had to be achieved, despite of the above-mentioned complex constraints. 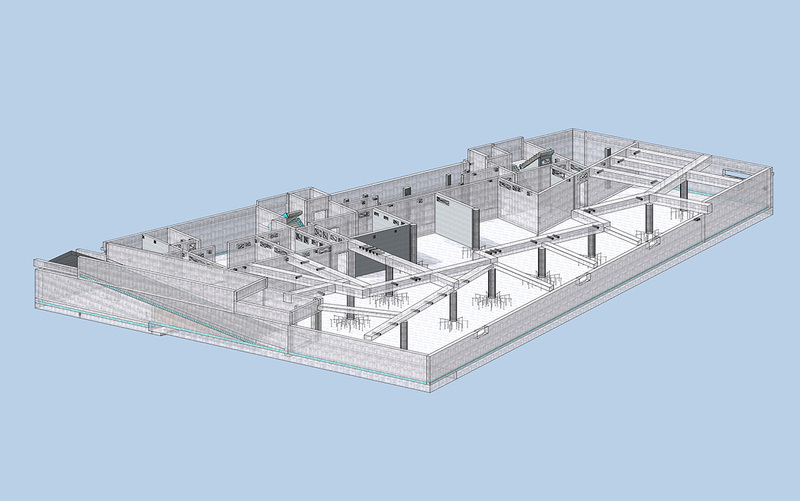 Therefore, from the beginning, the application of the BIM planning methodology was agreed between all the stakeholders. 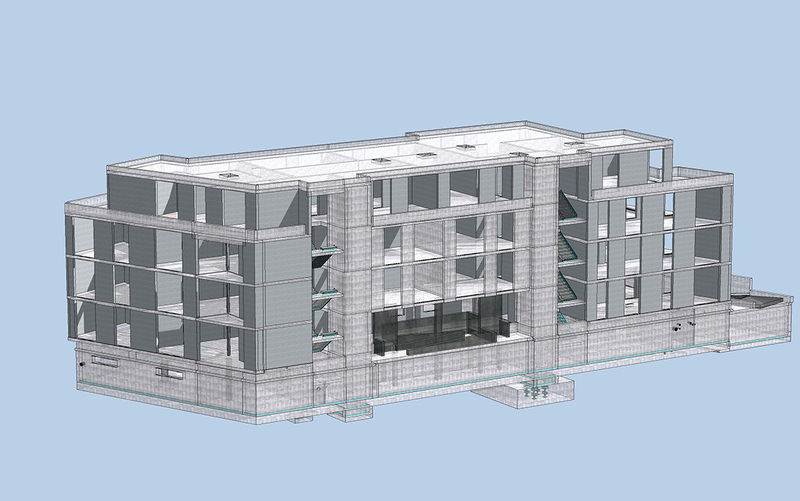 As SCIA Engineer fully supports BIM workflows, it was the perfect software to use for this project. 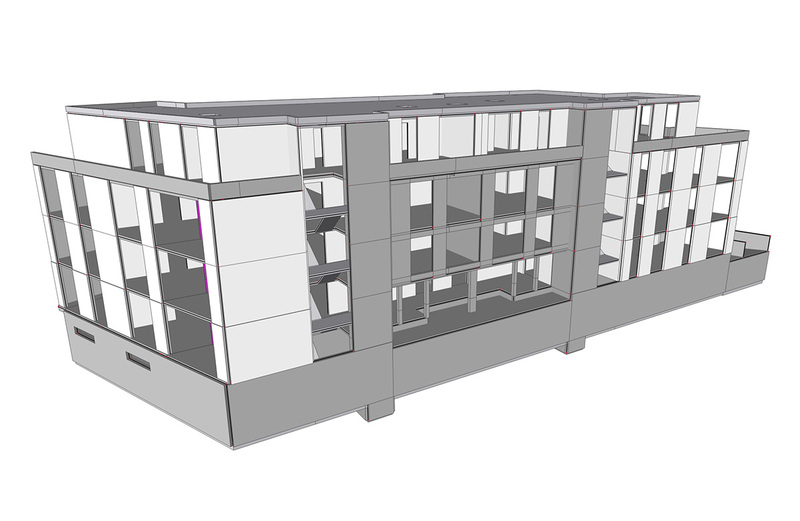 The engineering office used SCIA Engineer Professional Edition, including ‘BIM Toolbox’ to easily import the structural model of the architect and generate a full 3D FEM analysis model. 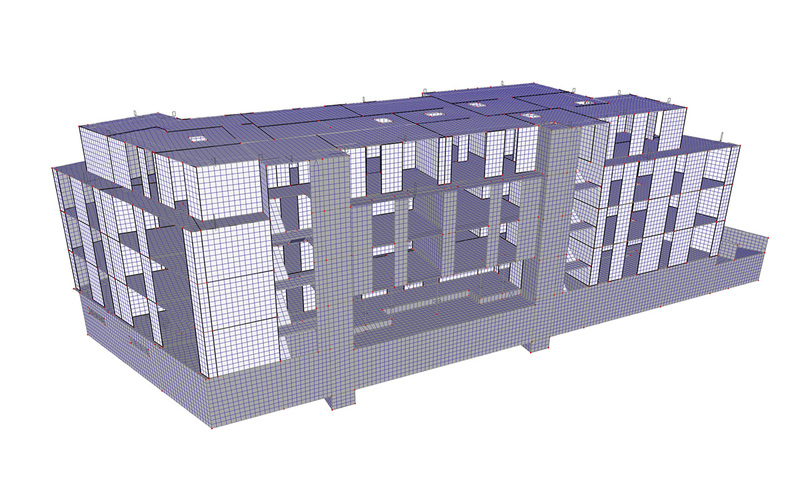 In addition, smooth exchange of data with Allplan and ARCHICAD provided the engineers with a lot of useful experience in practical application of BIM. 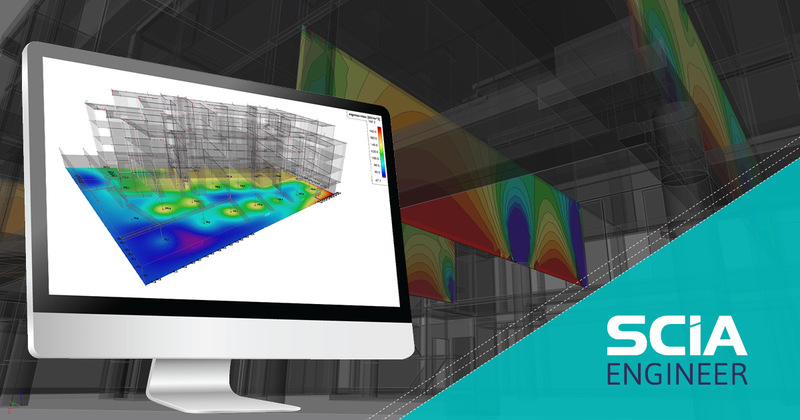 The ‘Property Modifier 2D’ function in SCIA Engineer was used to simulate the flux of forces in masonry. The internal forces and displacements of the whole construction were accurately analysed in one step, both for masonry and concrete. The analysis results were then used for the code complying design of the walls, beams and plates. 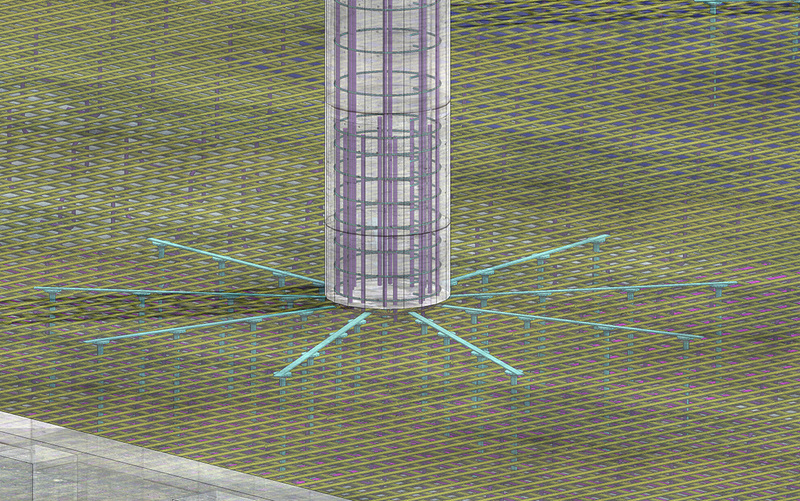 The concrete structure was directly designed in SCIA Engineer, including nonlinear and creep displacements. SCIA Engineer proved to be the right tool for safe design of the waterproof concrete basement.